Here at Inhabitat, we just can’t seem to get our fix when it comes to bikes! We’ve covered everything from cute bikes in horse shapes to build-your-own bamboo bike kits to even water purifying bikes that harness pedal power. But this time we’ve found a sweet ride that goes above and beyond, and recycles old bike parts into classy monochrome two-wheelers with a sleek edge. 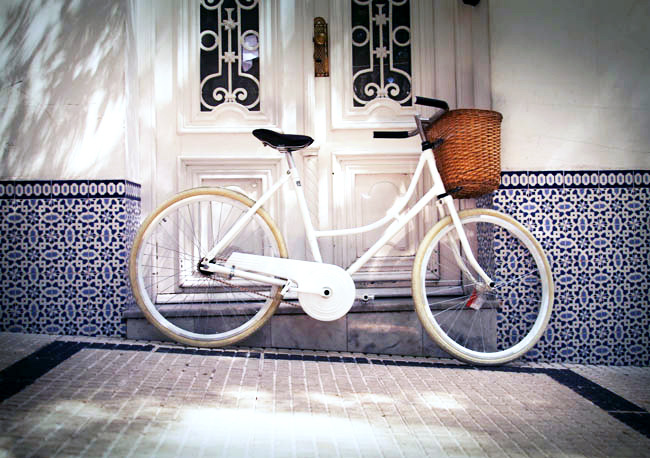 Monochrome Recycled Bikes is the first product from Peuman Design Adventures, a design studio managed by Argentine industrial designers, Natan Burta y Alejandro Sanguinetti. The designers believe that our current way of producing products is harmful to the environment, so each of their designs focuses on quality that will last, creating a lasting retro but modern aesthetic, and creating a piece that suits the end-user and their needs. The process behind each bike is quite simple: the designers purchase old bike parts in bulk, dismantle them and remove the existing paint by sandblasting it off instead of using harmful paint removers. Each bike is then custom made to their client’s taste and then painted using water-based paint in a monochrome shade. The designers, who last year won several design contests including Nokia’s Embassador Competition, say that the whole process of upcycling a bike takes only 20% of the energy needed to produce a new one. They have recently relocated to Buenos Aires’ design district of Palermo and they are even thinking of an alternative vegan material that they would use to produce limited color editions for an international mass market brand! The only thing about an all white bike is that in the cycling community they are known as "ghost bikes" and are left in memoriam to cyclists killed while riding. 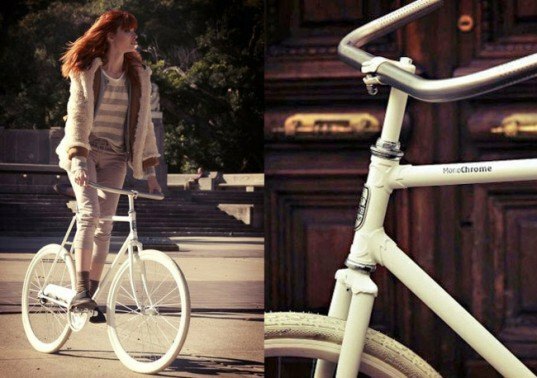 Here at Inhabitat, we just can't seem to get our fix when it comes to bikes! We've covered everything from cute bikes in horse shapes to build-your-own bamboo bike kits to even water purifying bikes that harness pedal power. But this time we've found a sweet ride that goes above and beyond, and recycles old bike parts into classy monochrome two-wheelers with a sleek edge. At the moment there are white and black Monochrome Bikes, but there are new exciting colors to come!